Recently I chaired a hearing examining the future role of the International Space Station (ISS). In the hearing I questioned Mr. William Gerstenmaier, NASA Associate Administrator for Human Exploration and Operations, and the Honorable Paul K. Martin, NASA Inspector General, on the value of the ISS to our national space program and the future of human space exploration. 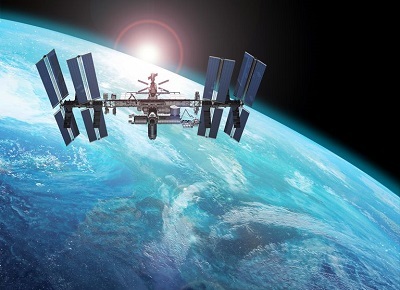 I have been a leading advocate supporting the continued operation and utilization of the ISS and have expressed opposition to proposals that would end federal funding in 2025. It would be irresponsible not to get the maximum return from that investment and to extend the life of it as long as scientifically feasible. The International Space Station is the largest and most complex habitable space-based research facility ever constructed by humanity. It’s a marvel of engineering, and it’s critically important to our national space program. For over 17 years, the ISS has provided the United States with continuous access to low Earth orbit which has been paramount to the success of NASA, our commercial partners, scientific research, and to human space exploration. It’s due to the significance of the ISS as a key component of our national space program that this subcommittee led the effort that extended the operation of ISS to 2024 by enacting the bipartisan U.S. Commercial Space Launch Competitiveness Act in 2015, which Senator Nelson and I worked on hand in hand, and which was signed into law by President Obama. We then followed up on that effort by once again working in a bipartisan manner, me working closely once again with Senator Nelson, in enacting the NASA Transition Authorization Act of 2017 which was signed into law by President Trump and established the ISS Transition Principles. The purpose of the ISS Transition Principles was to create a step-wise approach to eventually transition from ISS once there is the emergence of a proven and reliable commercial alternative. Congress decided to take a step-wise approach due to the long history at NASA in which major programs like Constellation and the Space Shuttle have been eliminated prematurely. These decisions have had long-term repercussions at NASA, its workforce, the local communities surrounding NASA Centers, and American taxpayers who face increased replacement costs for lost capabilities. Not only was it concerning when NASA failed to deliver the ISS Transition Report to Congress before December 1, 2017 as required by federal law, but it was deeply troubling when reports leaked that some were pushing a proposal to end all federal funding of ISS in 2025. Congress was explicitly clear in making its long-term interest in ISS known in the NASA Transition Authorization Act of 2017. Federal statute required the transition plan to include cost estimates for extending operations of the ISS to 2024, 2028, and 2030. It also required an evaluation of the feasible and preferred service life of the ISS through at least 2028 as a unique scientific, commercial, and space exploration related facility. Nowhere in federal statue is there a request from Congress seeking a hard deadline to end federal support for ISS, to cross our fingers and hope for the best. We’ve seen that act play out too many times in our national space program and it’s time we learn the lessons of history. Prematurely canceling a program for political reasons costs jobs and wastes billions of dollars. We cannot afford to continue to pursue policies that have the consequence of creating gaps in capability, that send $3.5 billion in taxpayer money to the Russian government or create a leadership vacuum in low Earth orbit that provides a window of opportunity for the Chinese to capitalize upon. Let me be clear, as long as I am the chairman of the Space subcommittee, the ISS will continue to have strong support and strong bipartisan support in the United States Congress. And as long as Article I of the Constitution remains intact, it will be Congress that is the final arbiter of how long the ISS receives federal funding.